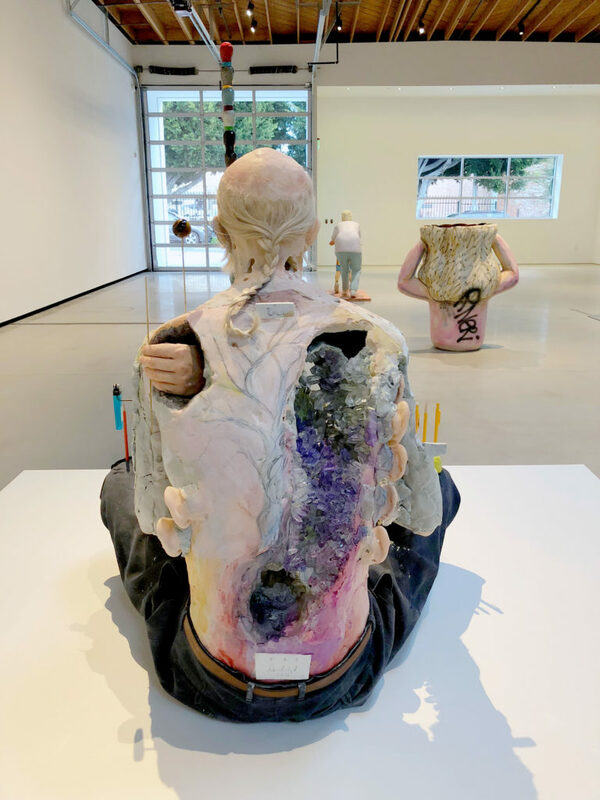 People, the current sculpture exhibition at Jeffrey Deitch’s Los Angeles gallery in Hollywood, fills the large room with work in a variety of media but all representing human beings in some way. 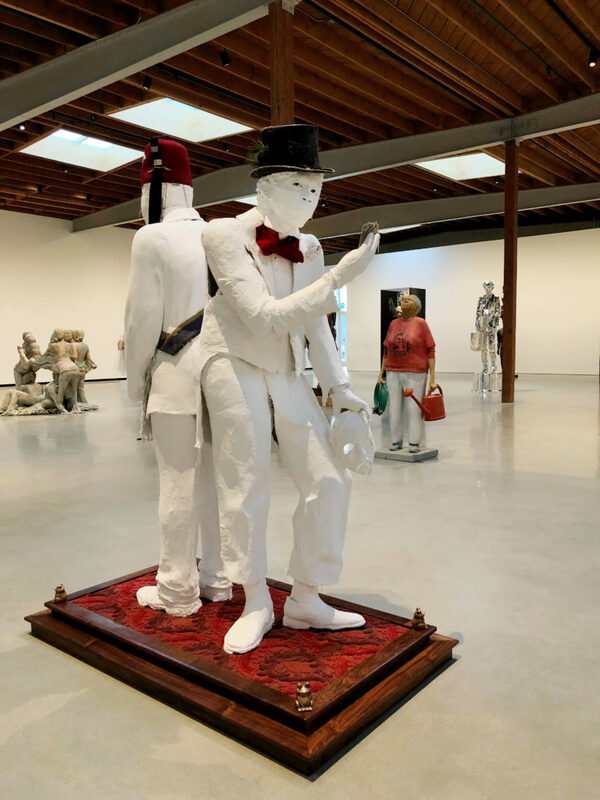 More than fifty standing, sitting and hanging figurative sculptures will fill Jeffrey Deitch’s new Los Angeles gallery. The artists in the show span several generations from the 1980s to the present, with an emphasis on emerging talent. All of the works in the exhibition reflect a contemporary approach to sculpture inspired by the innovations of Dada, Surrealism, Assemblage and by the influence of non- or meta- art sources like department store mannequins. Only one work in the show is carved or modeled in the traditional way. Some are made from body casts, others are constructed with found objects and only a few use conventional sculptural materials like bronze. The works in the exhibition reflect the diversity of the artists who created them and the diversity of the people who the sculptures represent. The styles range from hyperrealism to allegory. The subjects range from ordinary individuals to creatures of fantasy. The works explore the uncanny confrontation of the artificial and the real while simultaneously responding to the multiple approaches to human identity in the contemporary world. One of the sculptures, Totem, by Narcissister even incorporates live women. This adds to the unsettling feeling that some of the other sculptures, like Nobody, by Karon Davis (who founded The Underground Museum with her late husband Noah Davis), might have included real people as well (they don’t). 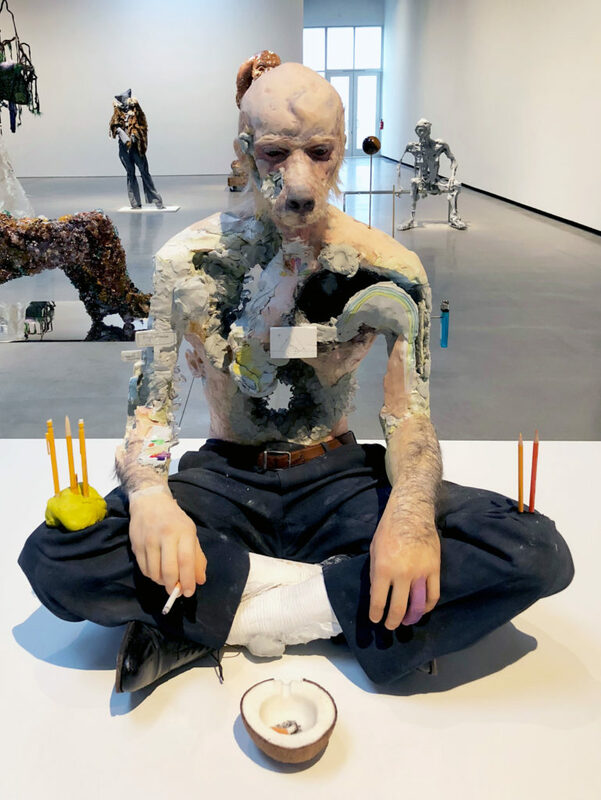 One of the strongest pieces in the exhibition is David Altmejd’s Pyramid in which a human/dog hybrid figure sits smoking while its back opens to expose insides composed of quartz, a hand, and several ears protrude from its sides. The little details are fascinating. He’s even painted one of the figure’s fingers purple, perhaps a reference to Human, the Ibizan hound with one purple leg that was included in Pierre Huyghe’s exhibition at LACMA. 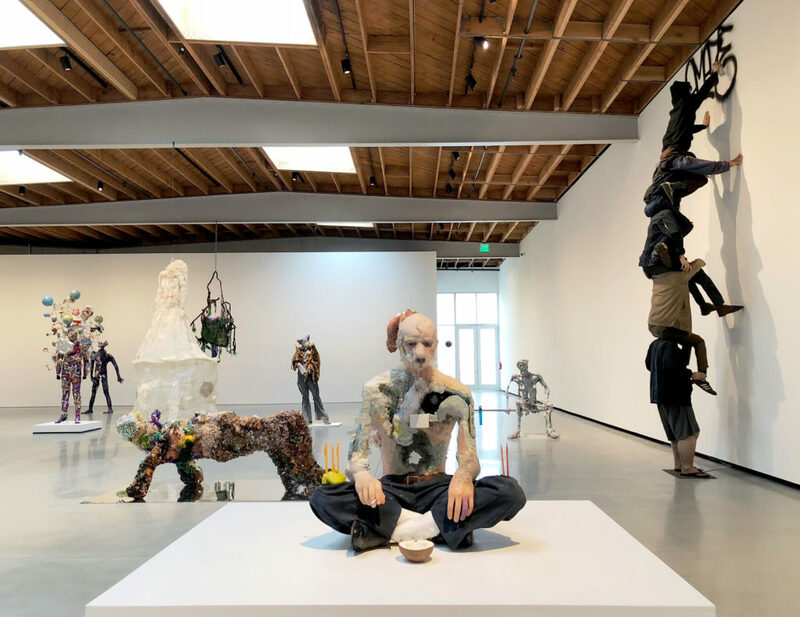 People was inspired by Mike Kelley’s exhibition and book project The Uncanny, from 1993, and that’s definitely an accurate description of how it feels to wander around in this particular room of sculptures.